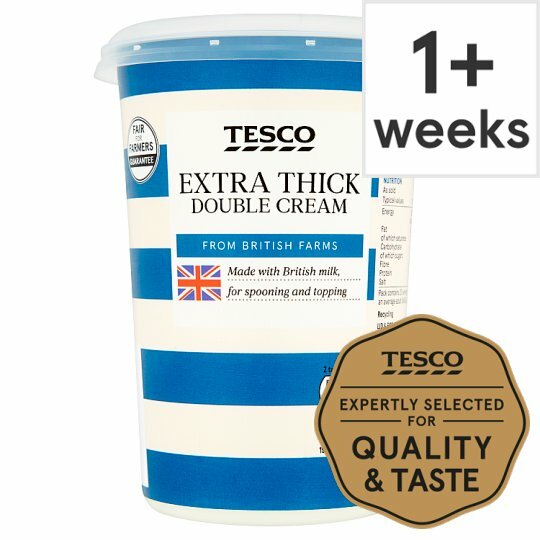 Pasteurised extra thick double cream. From British Farms. Made with British milk, for spooning and topping.